Ice Cream Personalities: So what is your flavor? True lovers of ice cream have often wondered, “If I was an ice cream flavor, which one would I be?” Well, we have answered the question for you. Ice Cream Fundays has come up with your own personal guide to finding your Ice Cream Personality. Whether you are the thinker, the doer or the odd-ball, you will be matched with your own MBTI personality and the ice cream that goes along with it. The Myer-Briggs Type Indicator, otherwise known as the MBTI comes from well-known methods used by doctors and psychologists alike. The test was established in the early 1900’s by Katherine Briggs and Isabel Briggs Myers. The original test was used to study the development of human growth through personalities. 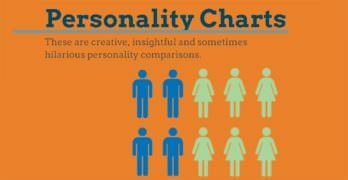 Today, every individual fits into one category a little more than the rest and can find that the chart is eerily efficient in describing their personal personality. 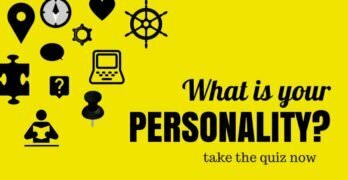 Several companies have created unique remixes of the MBTI Personality Chart. Ice Cream Fundays has revamped one to fit with some of the best ice cream flavors ever created. What do you think your ice cream type is? You may find that you are the responsible vanilla or the wild and crazy cake batter. If your are the quiet type, you could find your flavor in ISFP, better known as peanut butter chocolate swirl. Some individuals may even find out that their favorite flavor, such as ESFJ’s strawberry, is actually their opposite and they lean more towards ENFJ’s butter pecan. Some users even find out something new, such as a new ice cream flavor to try. After all, candied ginger was never considered until it was linked to the adventurous spirits of all those with ENTP personalities. Whether you have loved ice cream since the day it hit your lips or you have acquired the taste over time, everyone has their own flavor and we want to help you find it. Why Are INFs So Rare? That’s unbelievable. Can’t believe how accurate this MBTI Personality Chart of ice-creams is in my case, as well. My favorite flavor has always been chocolate and I swear by any ice-cream covered/filled with chocolate from the outside to the core. Each word of what’s written in ISFJ and ISFP is true to a great extent and very accurately mirrors my nature and personality. Astonished!